Instantly turn your web camera enabled computer into an Internet-connected motion-sensing security system. 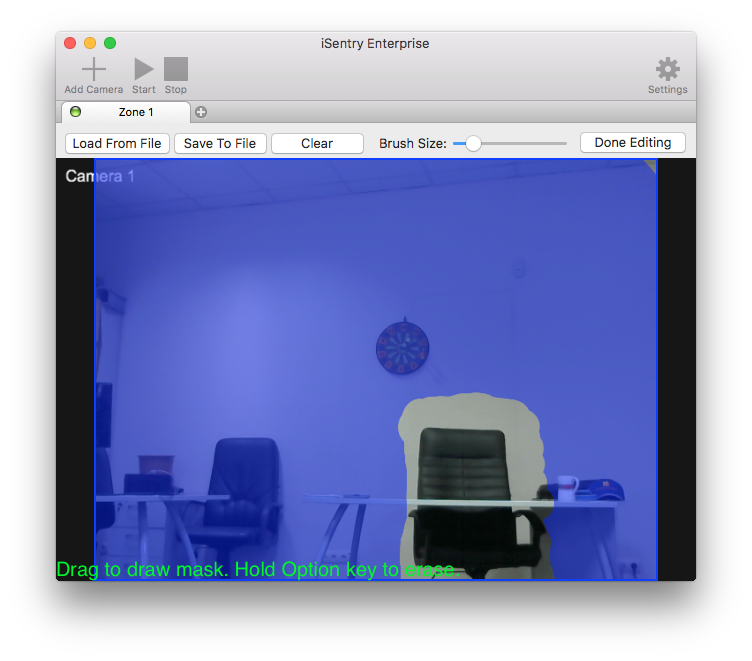 iSentry is a webcam security system for Macs. Just launch iSentry, point your camera to the region you want to monitor, and prepare to receive a video or photo should any motion activity be detected. 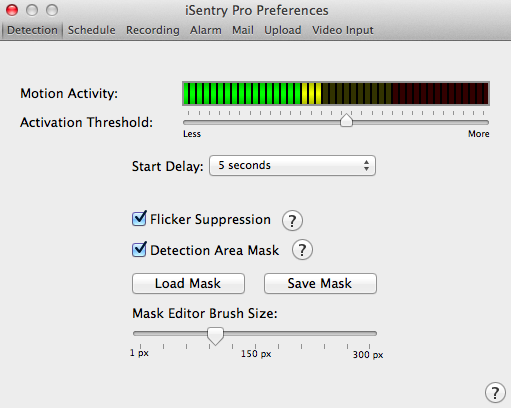 With a wide selection of settings, iSentry allows you to configure the quality of pictures and video clips, enable sound, alerts and receive email notifications about the events detected. 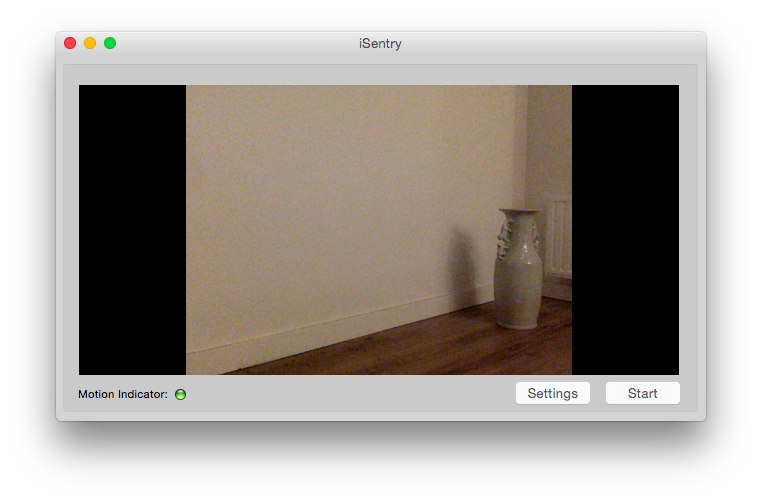 iSentry can also upload the pictures and video clips it takes on a disk or via an iPhoto album. You can download iSentry from the App Store using the links below. *Your IP Camera should support the transmission of MJPEG videos over HTTP protocol. **Your device should support such resolutions. iSentry does not run when your computer is asleep. 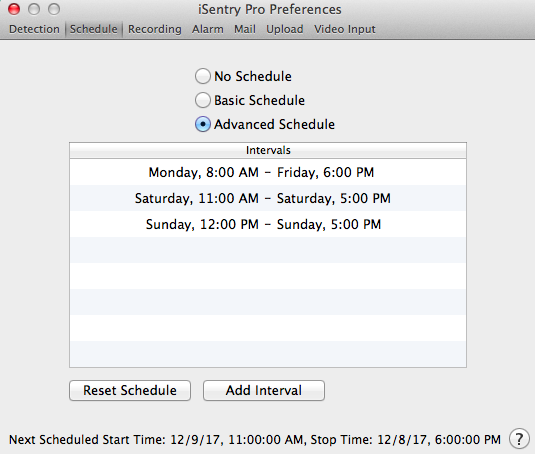 Make sure your computer is not set to go to sleep automatically in System Preferences > Energy Saver. However, iSentry will be running if your display goes to sleep. We would also like to advise that the Power Nap feature does not allow the execution of third party apps (including iSentry) while your Mac is asleep. Please email us isentry@codeminders.com if you have any questions or proposals. 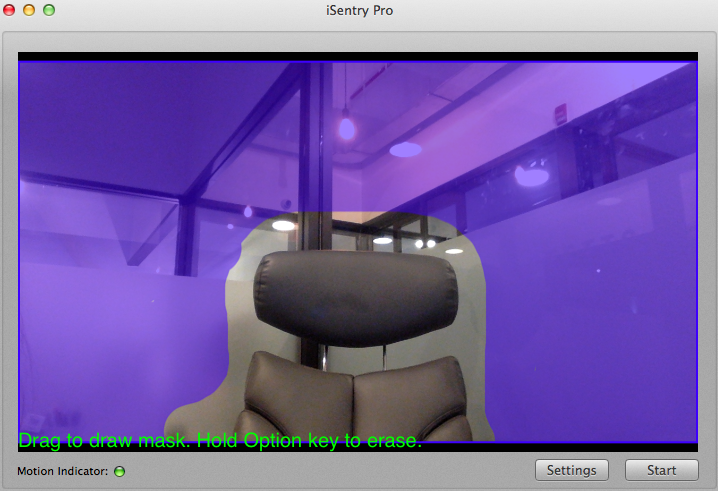 iSentry should work with any USB or built-in camera supported by MacOS. Support of IP cameras need to be tested on a case-by-case basis. 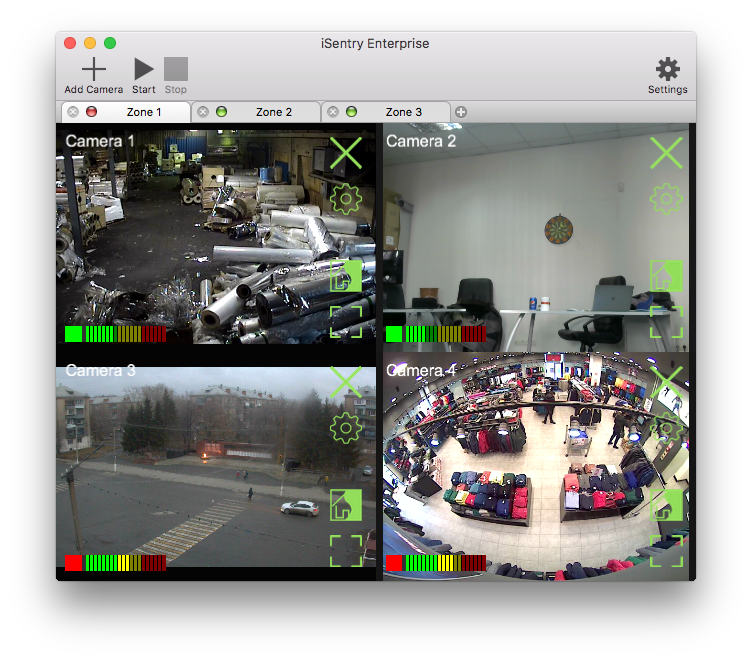 You can test whether your IP camera is supported by using the free version of iSentry. Click here to learn how to set up the video input device. Below are the links to several cameras which we tested and are known to work well with iSentry. If your IP camera is compatible with iSentry but is not listed here, please report this to us so that we can update this list for the benefit of other users. This software uses FFmpeg code licensed under LGPLv2.1 and its source can be downloaded here.